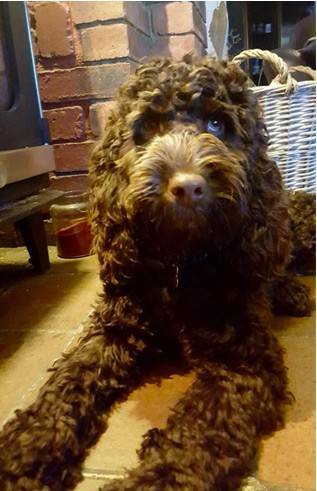 One of the results of breeding a poodle and cocker spaniel is that the resulting dog, the beautiful and utterly adorable cockapoo, comes in a wide range of colours. 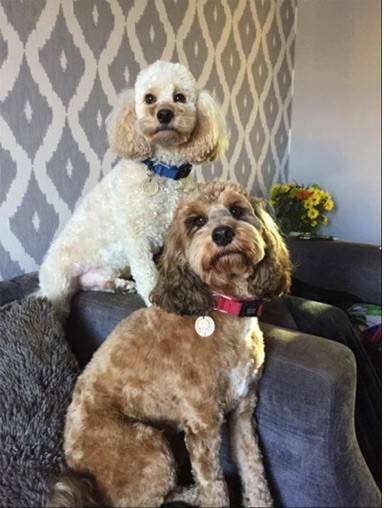 In fact, few dogs offer more colour variations than the cockapoo. The downside of this is that even the best breeder cannot guarantee the colour of the puppies in the litter. However, if they have past litters to reference from the same parents, they can give potential buyers a good idea of the possible colours to expect. Following are the main colours of cockapoo. 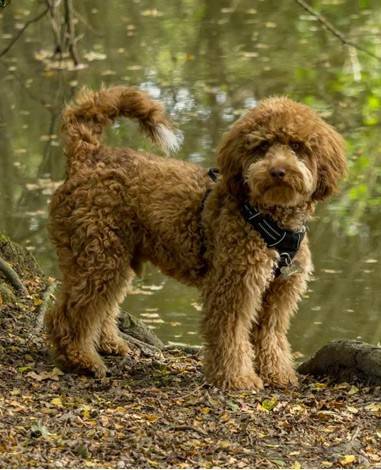 Apricot – this is one of the most popular – and it has to be said, attractive – colours for a cockapoo. It is best described as a sort of very pale brown and suits this little dog very well indeed. We have included some pictures of apricot cockapoos for you. 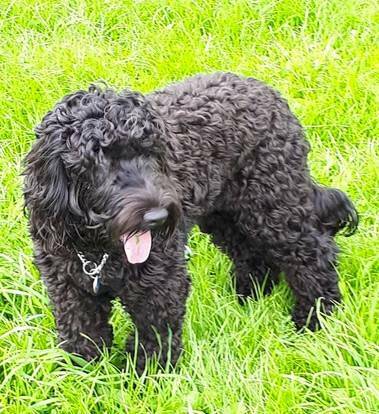 Black – for a more traditional dog colour, black might be the way to go. 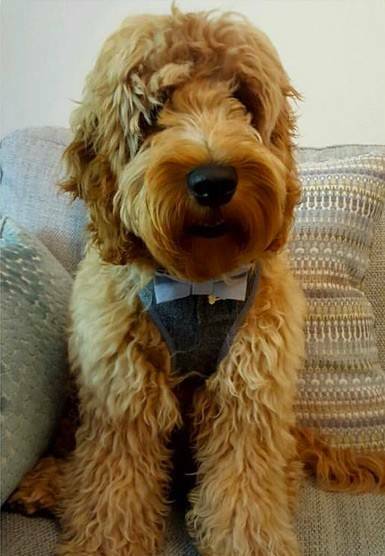 As the pictures published here show, the dark colours suit the cockapoo’s lovely long coat very well, and this colour is preferred by many owners. 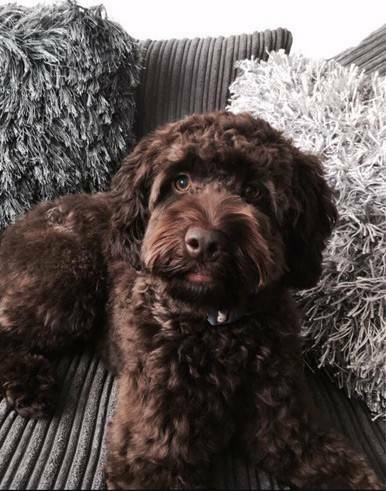 Chocolate – for those who want a dark coloured dog but are not fond of black, this dark brown variant is a very luxurious colour that again suits the dog. 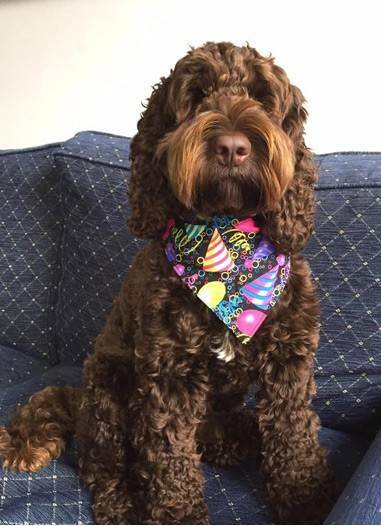 The chocolate dog is becoming more popular as the breed itself gathers fans everywhere. 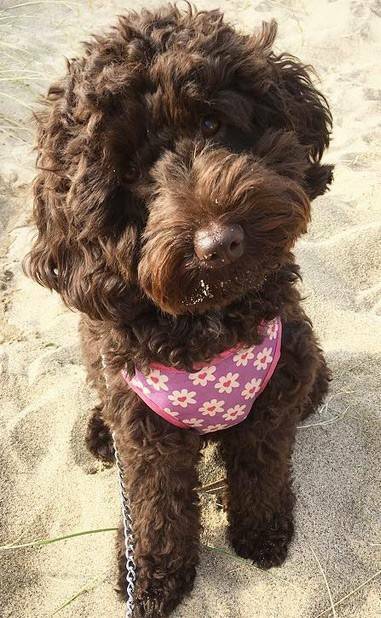 There is also a colour known as tri-chocolate – see the picture we have included – that is somewhere in between the chocolate and the apricot, and is quite fashionable among cockapoo owners. 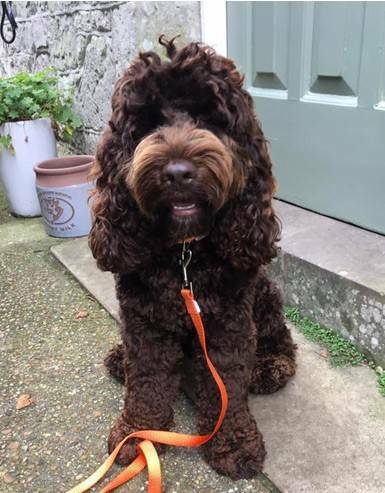 Red – another variation on the brown, the lovely almost-ginger tones of the red cockapoo are not as commonly seen as the others on the list – thanks to the problem we mentioned at the beginning regarding the uncertainty of the outcome – but if you can find one we reckon you’ll be smitten! 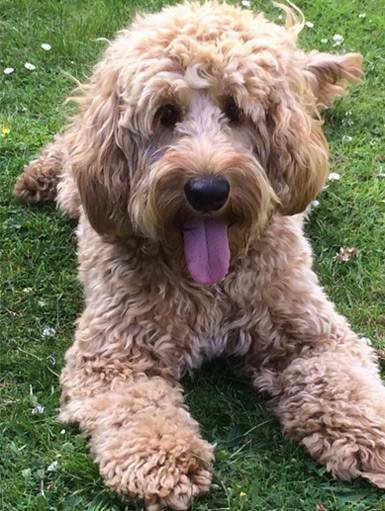 White – the lightest of all the colours is the white cockapoo, which looks very impressive in its creamy white coat. 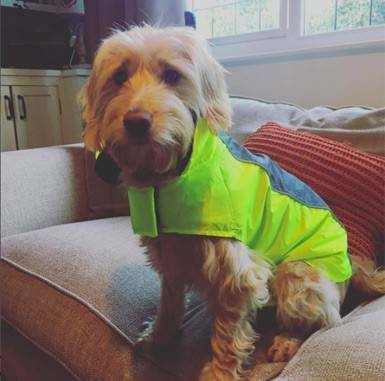 Again, it’s not a common colour, so if you’re looking for a cockapoo with a difference, this might take your fancy. Of course, not all cockapoos are one colour. You may find some that offer a combination of colours and look quite wonderful as a result. When all is said and done, if you’re looking for a cockapoo, what you really want to be looking for is a well-bred and healthy dog from a reputable breeder – see our page here listing the websites of breeders registered with the Cockapoo Club of Great Britain – as every single colour choice suits what is a very attractive dog. If you are set on a colour the best option is to talk to several breeders and see if they have litters available. 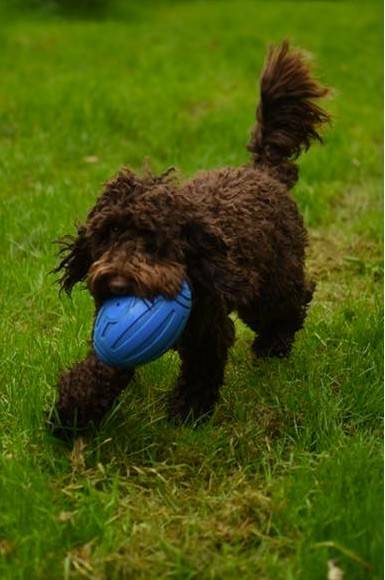 Whatever colour you choose, your cockapoo will bring you many years of pleasure, fun and enjoyment! 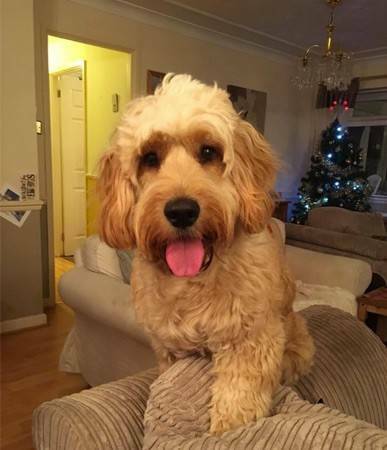 Here are some pictures of some Apricot Cockapoo fully grown. Luna on the left. 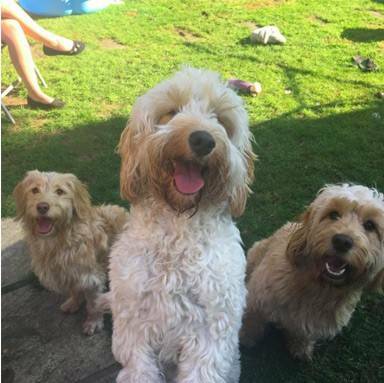 Her brother on the right and Lottie in the middle. You will see a number of different variations of these colours, with several lovely tones in most of them. You might also see some multi-coloured Cockapoos with two or even three colours person in their coats. Certain names seem to go better with different coloured dogs. 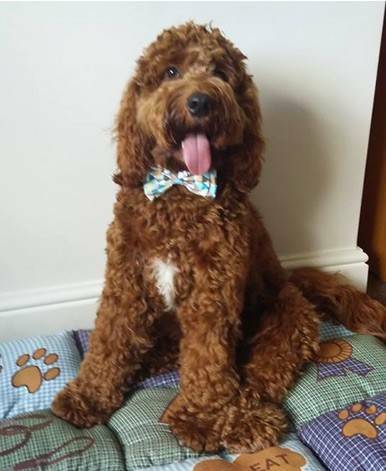 We have put together a list of recommended Cockapoo names here.